Osseointegration is defined as the formation of a direct interface between an implant and bone, without intervening soft tissue. The term refers to the direct structural and functional connection between living bone and the surface of a load-bearing artificial implant. The surgical procedure first started in Sweden in 1990. 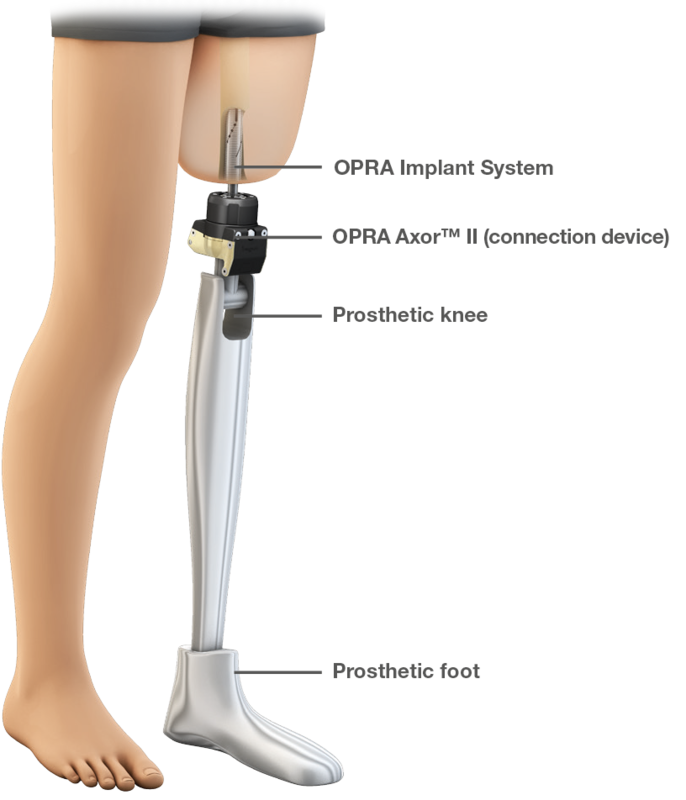 But US doctors have began to practice percutaneous osseointegrated prostheses (POP implant) only in 2015. The first surgeries for the two veterans took place on Dec. 7 and Feb. 8, 2015, when was involved implanting the device into the femur bone and attaching a post to the femur component of the device through the skin. During this year, doctors at the Salt Lake VA plan to attach osseointegrated prosthetics for eight amputee veterans. weight bearing in a socket causes several issues due to heat and skin wearing. Heat causes the residual limb to change in size and sweating of the residual limb which can lead to skin breakdown, infection and pain. increased acceptance of prosthesis, increased proprioception, and reduction of pain and discomfort. Because the osseointegrated prostheses is directly implanted into the bone, then the femur feels the vibrations of the prosthesis during walking. This allows the amputee to differentiate different surfaces much like how a healthy leg does. Due to the central sensory feedback, percutaneous osseointegrated prostheses can increase proprioception and also help with phantom sensation. 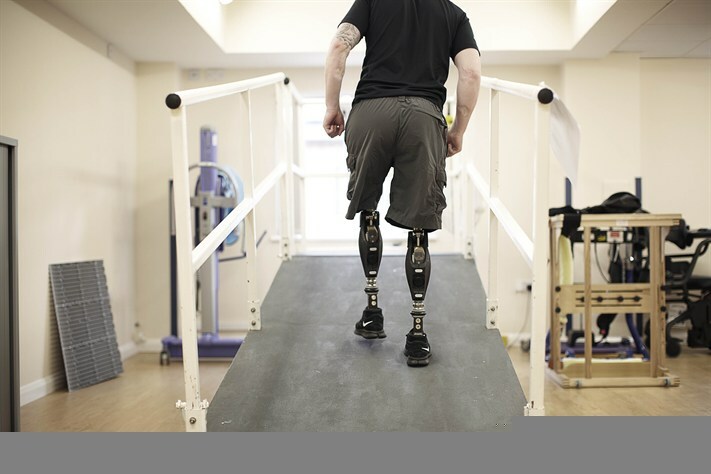 The osseointegration prosthesis increases quality of amputee’s life. The transfemoral amputee is able to wear his prosthesis longer due to decrease in pain and skin breakdown. I love this concept I currently have an AK of the right leg. Standard sleeve and socket with aggravations and difficulties all the time. VA has been a great help with where I’ve gotten so far but the idea of not having a socket is great how can I get on the list for this. I am interested in this program, have right leg removal above the knee. Please send information thanks.